La Tentazione del Frate (lah ten-tah-tzee-OH-nay del FRAH-tay) is a sheep’s milk wheel from Emilia-Romagna, weighing about 3 pounds. It is the proprietary creation of a dairy that is only about 15 years old, a newcomer in the Italian cheese world. The wheels are aged in natural caves. 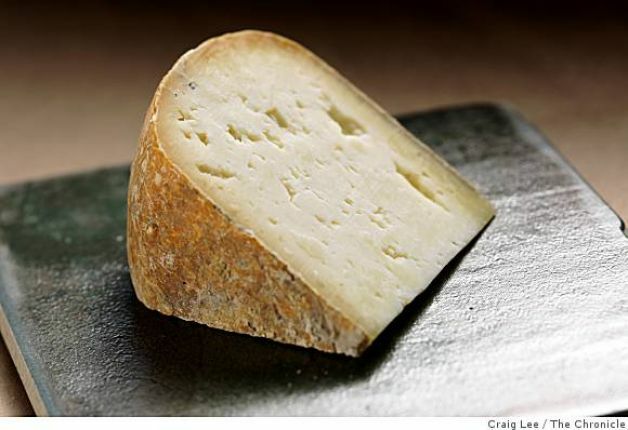 It is paler, drier and more crumbly than Pecorino Toscano, and the interior is open-textured with many cracks. It smells of cheesecake and warm butter and finishes with an appealing sweetness. The salt is elevated but not excessive, just sufficient to make you want another bite, and it leaves you with a delicious lingering flavor on your palette.